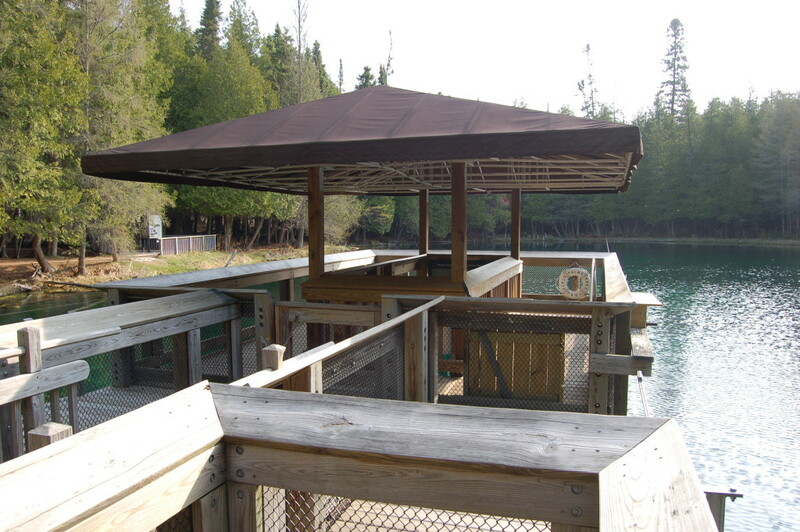 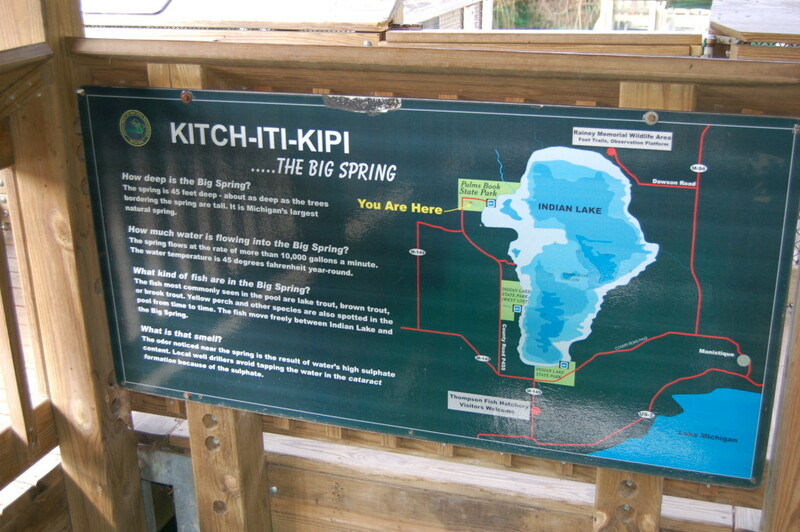 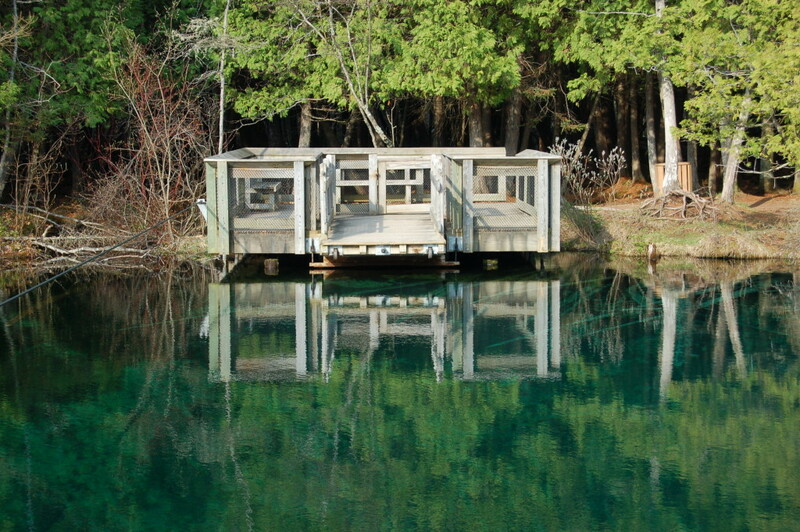 One of the biggest attractions in the Manistique area of Michigan’s Upper Peninsula is the Big Spring Kitch-iti-kipi. 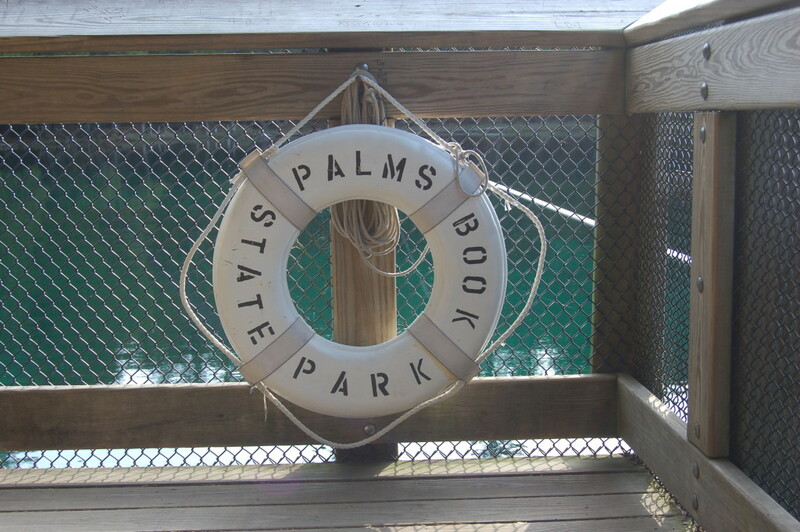 Located inside Palms Book State Park, the spring features clear water that is always 45 degrees and constantly fed 10,000 gallons per minute from fissures in the limestone below the pool. 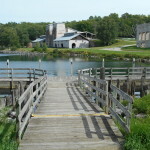 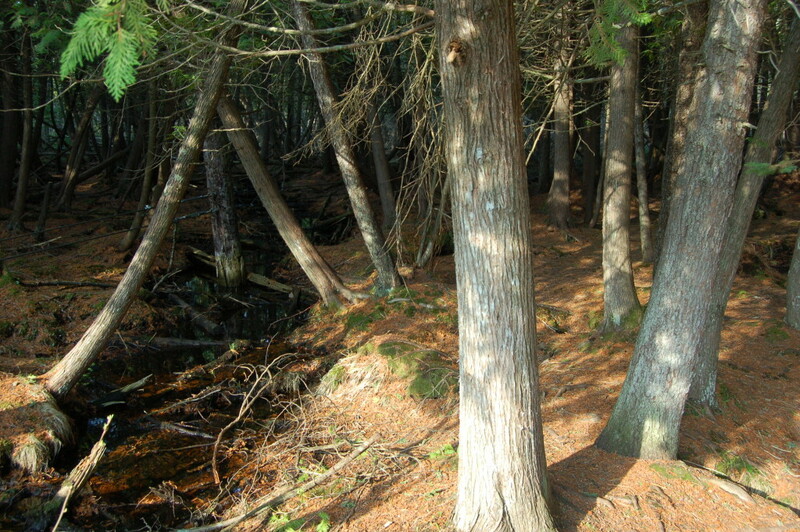 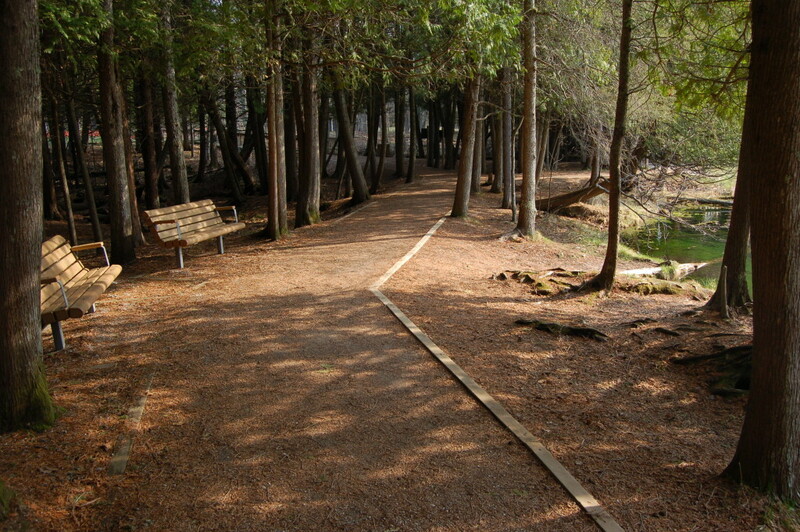 An aquifer also connects to nearby Indian Lake. 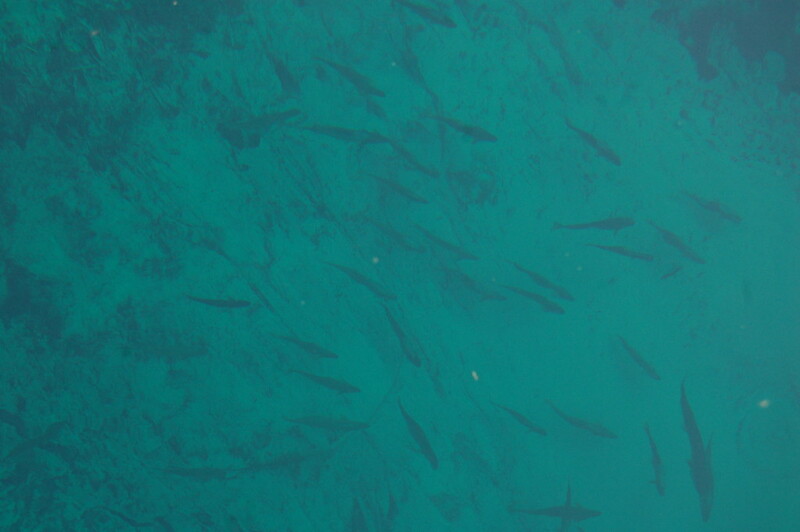 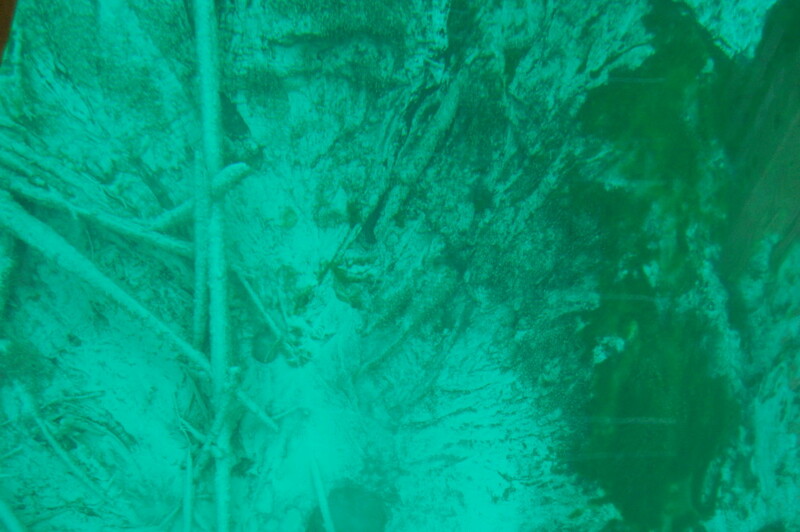 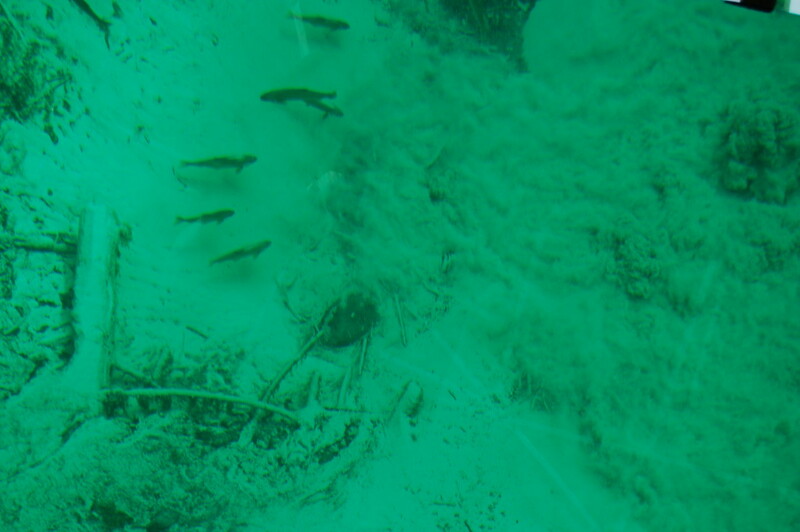 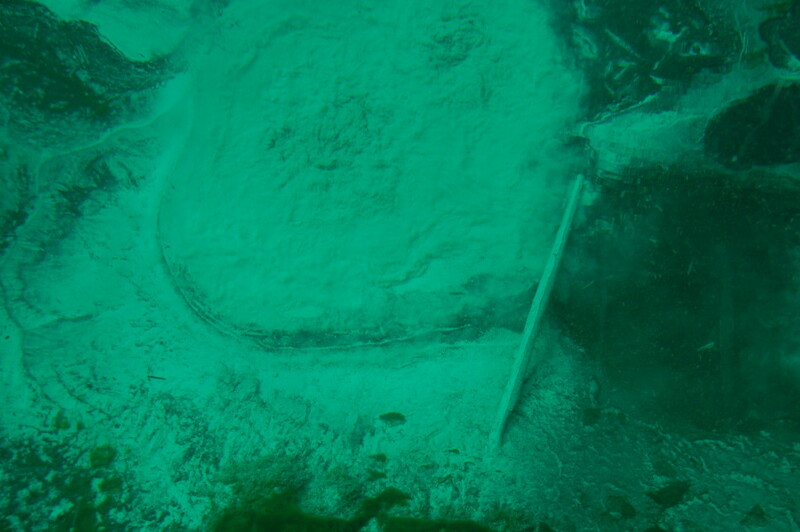 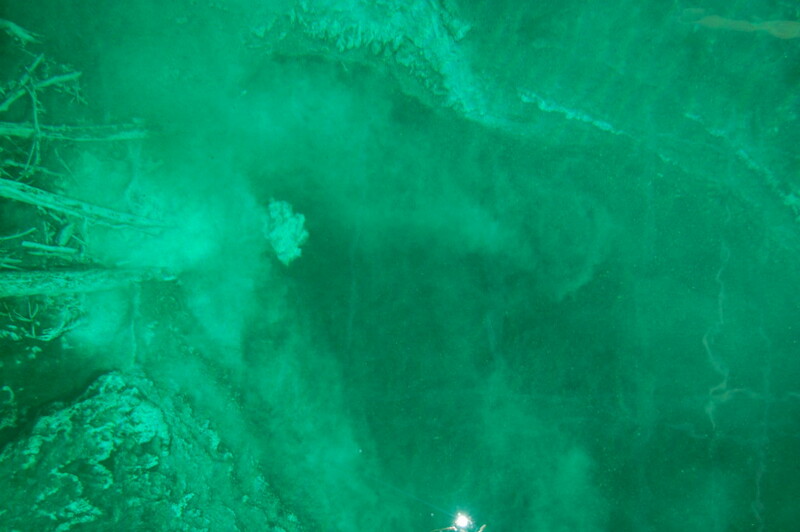 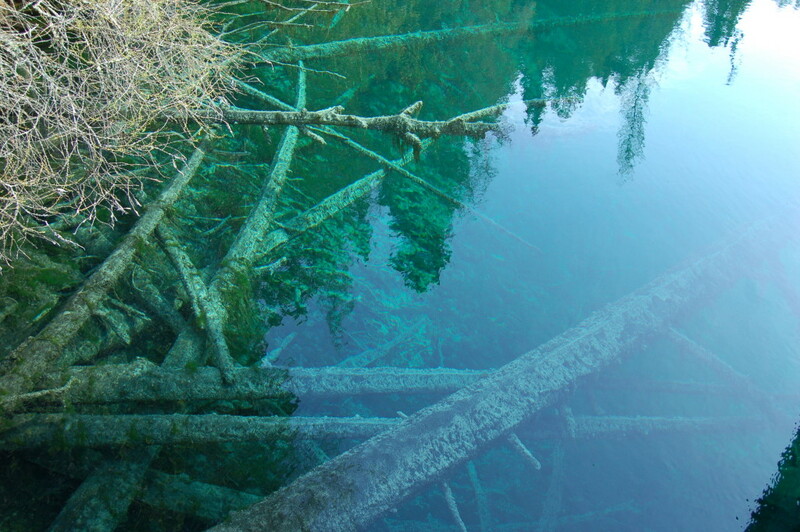 The pool is 40 feet deep and so clear that it is easy to see fish (three kinds of trout) as well as the mineral-crusted branches of trees growing along its edges. 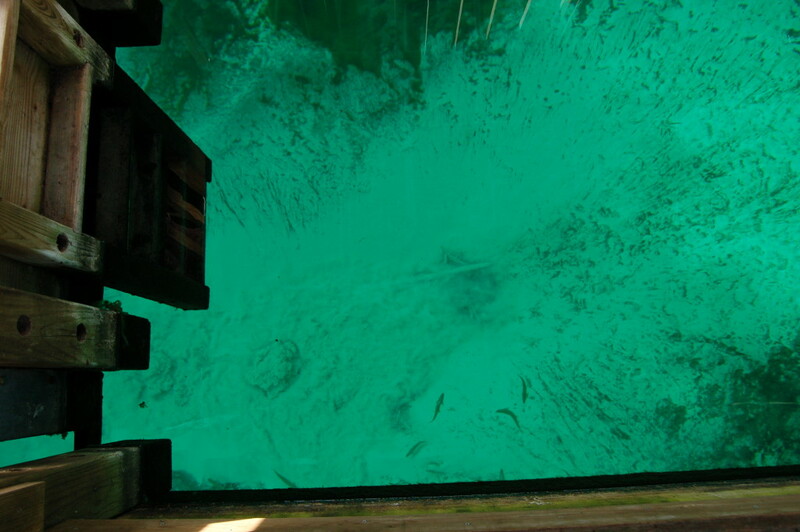 A self-operated wooden raft pulls visitors out into the pool so they can see it up close, from either over the sides or the bottom viewing windows. 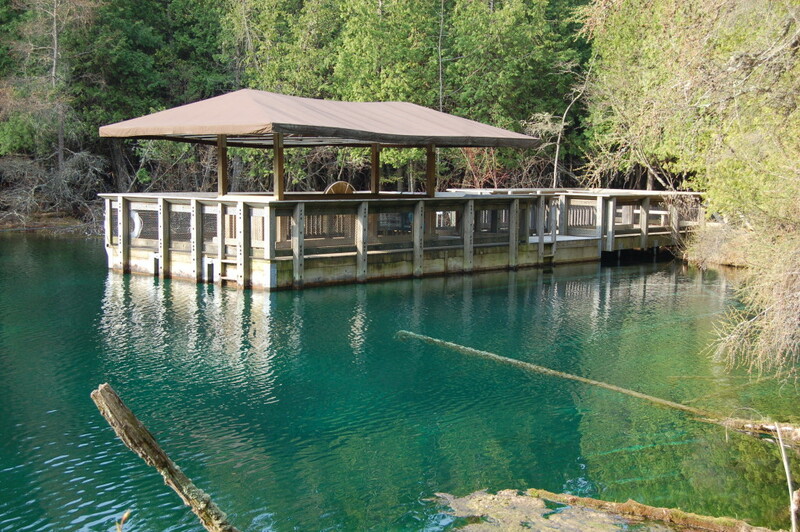 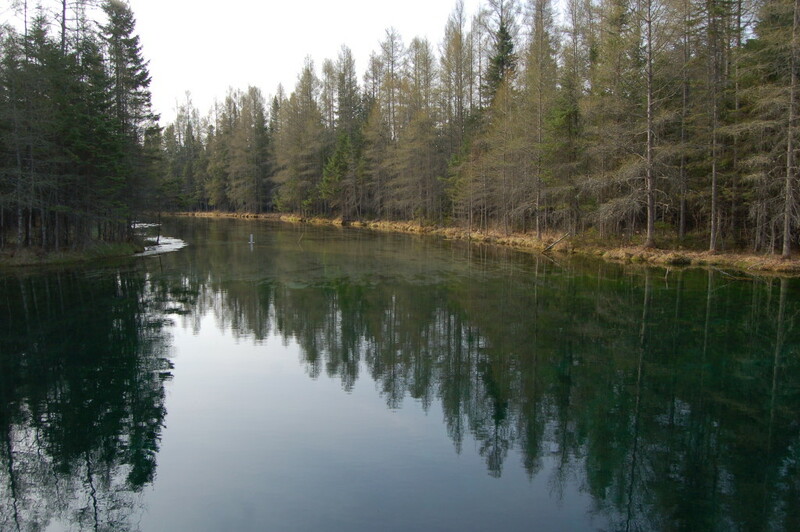 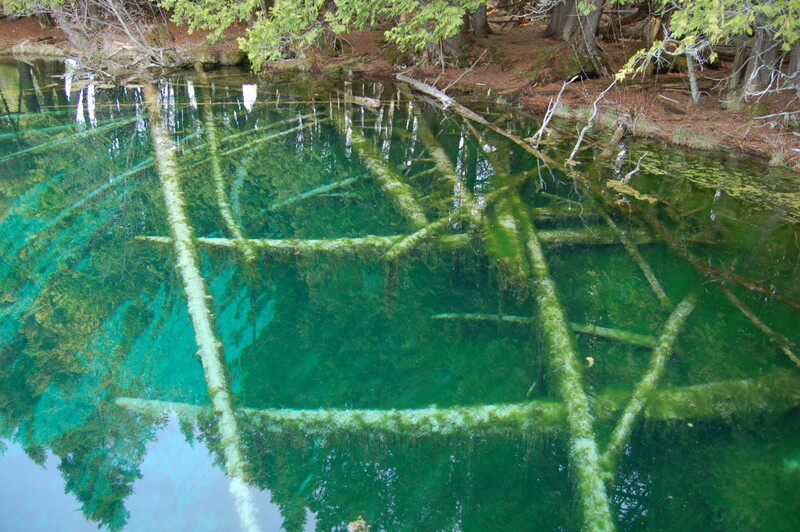 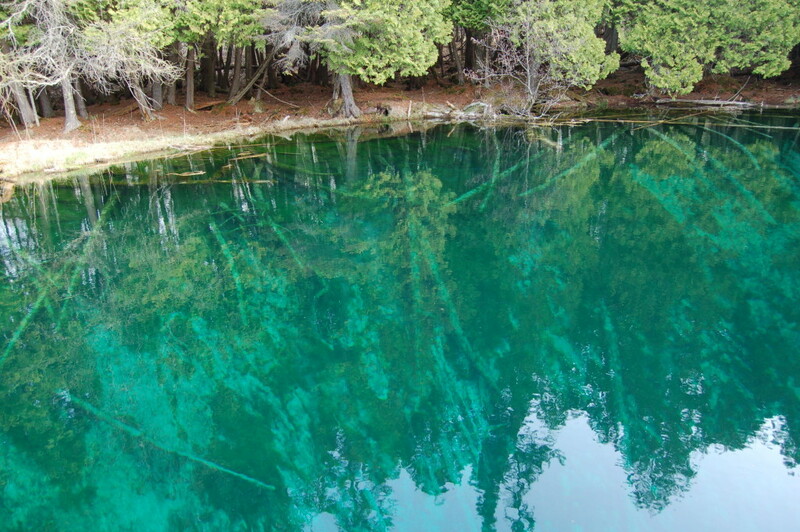 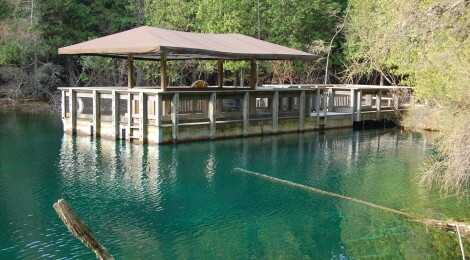 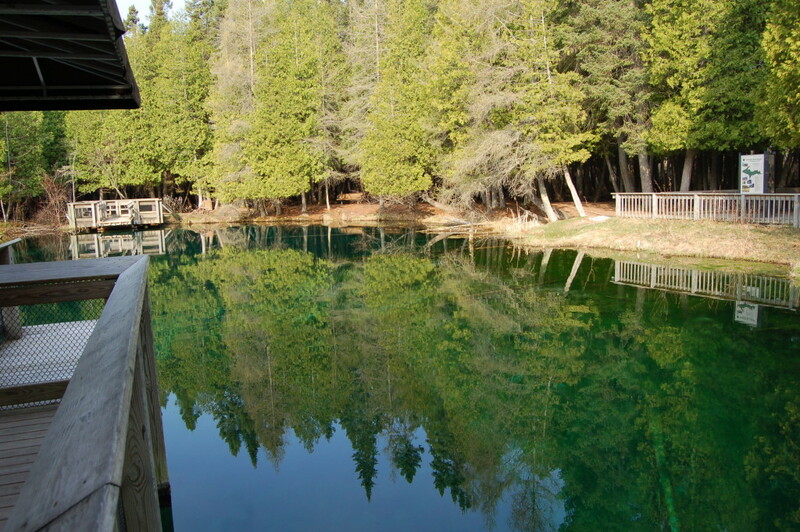 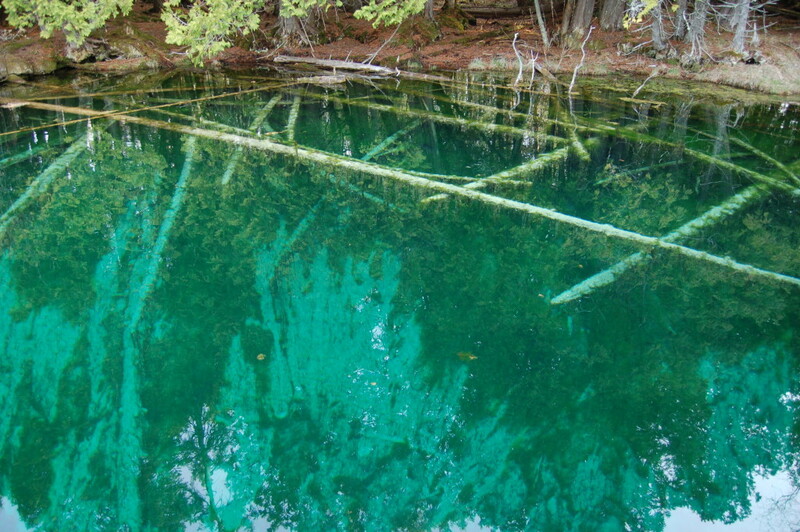 Kitch-iti-kipi was referred to by Native Americans as the “mirror of heaven,” and there are several myths/legends about the area’s history and possible healing powers of the spring. 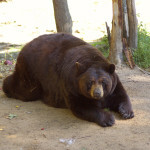 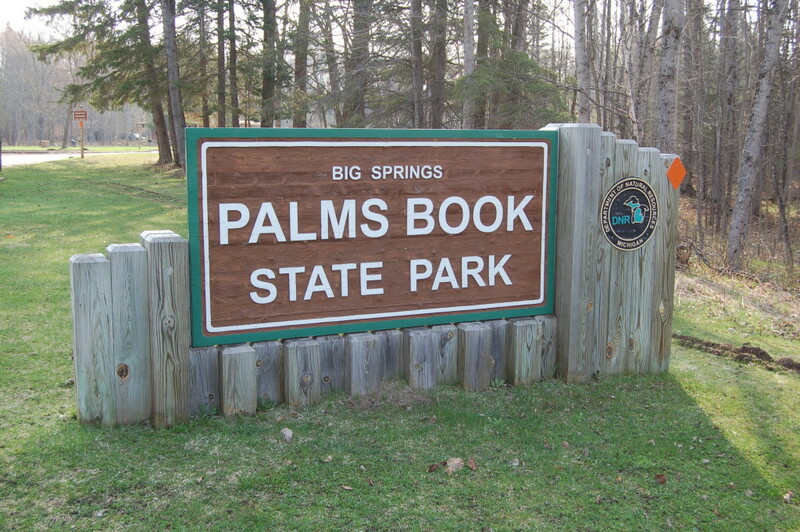 In 1926 the state acquired the park land surrounding the spring from businessman Frank Palms of the Palms Book Land Company, after John Bellaire of Manistique convince him to sell it for a low price under the condition that the land be forever used as a public park. 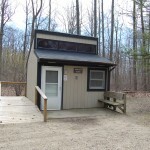 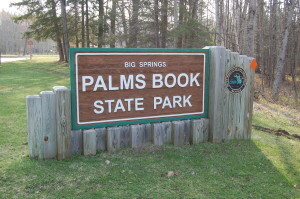 Palms Book State Park can be reached by taking M-149 north from its intersection with US-2 near Thompson. 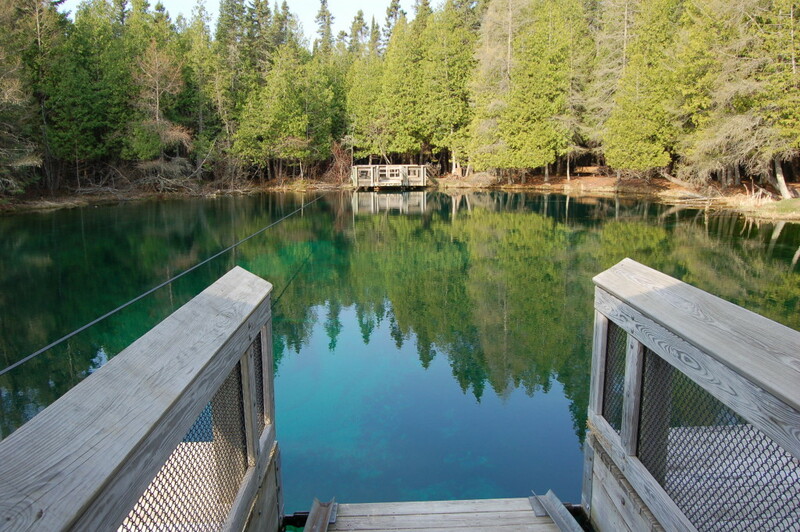 It is about 15 minutes away from Manistique and there are many state park signs posted to help lead the way. 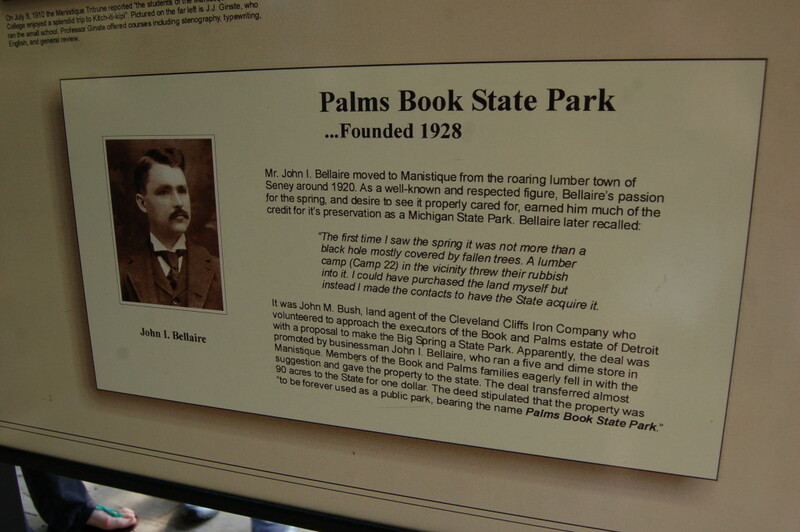 Enjoy this collection of our favorite photos from several visits tot he park, which also show some of the historical information plaques that are posted along the walking path.